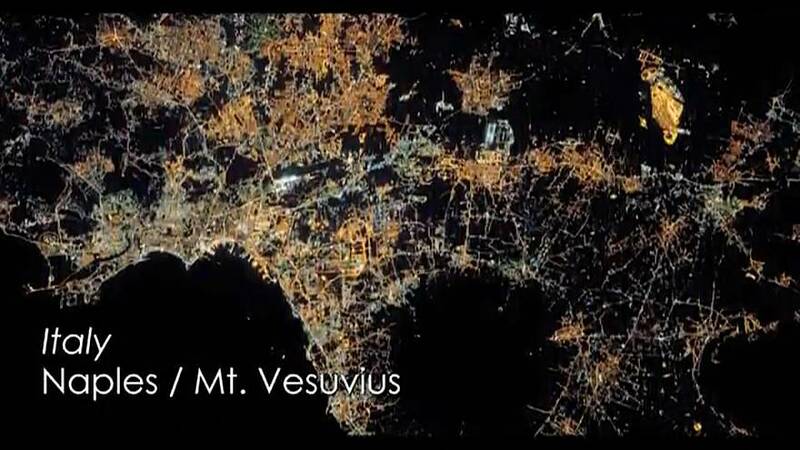 Mount Vesuvius, the Aurora Borealis, and the dense city lights of northern Europe. All of these have been photographed by astronauts and cosmonauts working on the International Space Station. Every year thousands of photographs are snapped by the women and men who work and live on the station. Nasa have chosen a selection to be in their top 17 photos for the year 2017. The photos include the Betsiboka estuary in Madagascar – the mouth of the country’s largest river. Also pictured is Lake Alakol in Kazakhstan. The lake is half frozen, with huge ice sheets breaking up at the lake thaws in warmer weather. The huge body of water connects China to Central Asia. In Russia, shetlerbelts, long windbreaks, protect erosion of farmland. Watch: What has Earth looked like for the past 20 years?